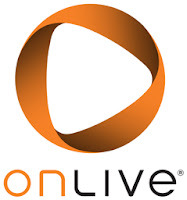 It's anybody's guess what will happen with OnLive and Warner Bros. Warner invested into OnLive and got burned. They have now partnered with other cloud gaming companies. 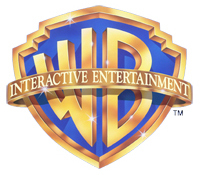 I wouldn't count on Warner games on OnLive anytime soon, but who knows what politics take place behind the curtain. OnLive is working on some huge changes to how they bring games to their platform to make it easier for publishers and developers. They indicated on Facebook that this could take a few more months, but the wait could be worth it, as by making it easier to release the games on OnLive way more games could come in quick succession. I think this rework of the onboarding process for games is a cause of competition in the cloud gaming space that is heating up. Usually competition is a good thing, but sometimes you have to be patient while waiting for the companies to adapt to it. I'm using OnLive on my Asus TF300T (Android) Tablet. I've not actually paid for any rental, purchase, or playpack yet. I've played some demos just to see how well it actually streams to my tablet. To be honest, for the most part, it streams quite nicely. I however am extremely disappointed to see Batman advertised so boldly on the playpack bundle, just to find out it still isn't there. The most recent game I've found appears to be The Witcher II: Assaisin of Kings. Great game, but I already have it on XBOX 360. I wouldn't mind having the ability to play it on my Android though. I'm not aware of any other cloud gaming company currently on Android devices. I applaud OnLive for this. I encourage them to create deals with companies like Bathesda and Microsoft/Bungie/343 so that we can start getting larger titles like Oblivion (If not Skyrim), and the Halo series (if only the episodes on PC).